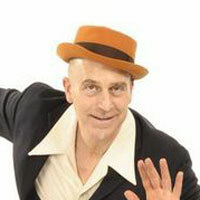 Paolo is a 20 year veteran of Swing Dance specializing in the Lindy Hop, Balboa, Collegiate Shag, and Charleston. Back in 1999 Paolo and his original partner Janice Wilson were the first Lindy Hoppers to TOUR with with Wynton Marsalis & The Lincoln Center Jazz Orchestra (Now JALCO) and in 1998 they won the American Swing Dance Championships. They performed with shows “Swing Dance America” and “Forever Swing” featuring Michael Buble. 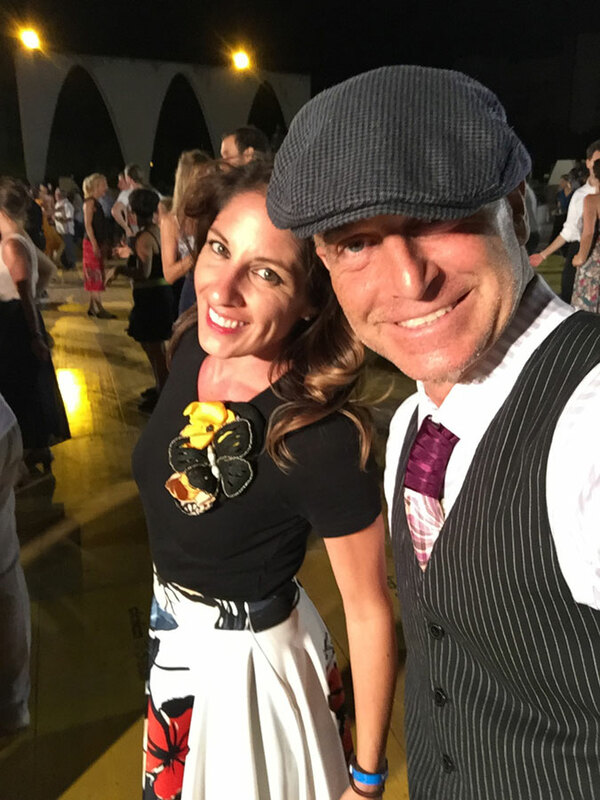 Over the years, Paolo has founded and launched events such at The Summer Jamboree Dance Camp in Italy, The Shake, Rhythm & Roll Festival in Asbury Park, and the Swing Remix dance spectacular in NYC. He coordinates dance teams The Lindy Hop All-Stars and Rhythm Stompers, and continues to hone his skills of the American born social dances, teaching and performing throughout the world. He was a guest artist/teacher at Lincoln Center’s Midsummer Night Swing consecutively from 1999 – 2015 and in 2016 he performed 7 nights LIVE on the main stage at the Umbria Jazz festival in Perugia. He capped off the year with a 4 night show for Jazz @ Lincoln Center performing with and co-directing The Rhythm Stompers. 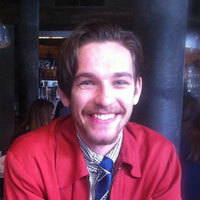 Paolo is presently a staff instructor at You Should Be Dancing NYC & Westchester Ballroom Briarcliff, NY. Adrienne has been swing dancing since 1996. 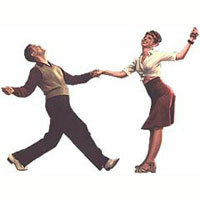 While based in CA, she had the opportunity to learn from swing legends like Frankie Manning, Jean Veloz, Hal Smith and many of the LOS ANGELES original dancers, along with Sylvia Sykes, and the Rhythm Hot Shots (when they were hosted by Pasadena Ballroom Dance Association on Catalina Island). Her love to teach, perform and share this passion with future generations of dancers in the swing community keep the love of this historic dance alive, and allow her to not only dive into its past but to also push the limits – to keep re-defining and expanding the dance for a lifetime to come. Adrienne is classically trained in Ballet, Pointe, tap, Jazz, Modern, Lyrical and Contemporary Ballet from childhood through college at Laguna Dance Theatre, CA, Milwaukee School of Ballet, Boston Ballet School, London’s Royal Academy of Dance, Urdang Dance Academy, and Pineapple Dance Studios in Covent Gardens, England. 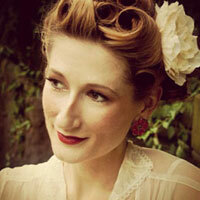 Lainey is a globetrotting jazz era dancer, performer, choreographer, and vintage fashionista. She specializes in Lindy Hop, Charleston, and vernacular jazz….She has appeared in many exciting venues along the East Coast, including: Revel Atlantic City, Gansevoort Hotel in NYC, Midsummer Night Swing, The Edison Ballroom, and Club 412. 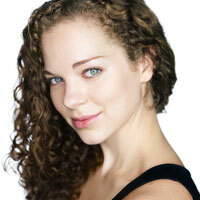 She is a member of Syncopated City Dance Company, the Lindy Hop All Stars, and the Sugarfoot Follies. Lainey has won a number of contests, placing 1st at the 2014 Ultimate Lindy Hop Showdown Slow Dance division with Dan Newsome, 2nd in the 2013 International Lindy Hop Championships Advanced Jack and Jill, 3rd in the 2013 Lindy Focus 30 Second Showcase with Dan Newsome, and 1st in the 2012 Gypsy Jam Jack and Jill. In addition, she is honored to be crowned the 2013 Miss Camp Hollywood. A Brooklyn-based performer and choreographer, Jessica has performed at The Jazz Age Lawn Party on Governor’s Island, Popular nation and international Dance Camps from Lindy Focus to The California Balboa Classic. Her personal dance infatuation lies with all the smaller origin and component dances that sprang up from the early 19-teens through the late 1940s alongside the bigger dances we still do today. Her thirteen year ballet background provides a unique viewpoint on visual learning and performing. Stina is a professional tap dancer and has been dancing since she was a wee baby. 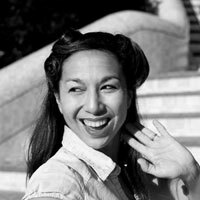 An avid performer in the theater community, she found Lindy Hop to be similar in the joy it evokes out of others, stretching beyond the partnership and into the hearts and souls of an audience. Rachel first started dancing as a part of Musical Theater performance. Upon receiving her degree in Theatre from NYU, she continued down another performing arts path by taking up partner dancing. After sampling Salsa and Argentine Tango, she decided to hone her Swing talents by studying Lindy Hop & Aerials under 8 time Lindy Hop world champion Yuval Hod at his NYC studio, Hop Swing and a Jump. In addition to teaching at You Should Be Dancing…! Rachel has taught at many venues around town including Swing 46, Swing Remix at the JCC, and Midsummer Night’s Swing at Lincoln Center. Rachel won 1st place in the 2011 Edison Ballroom Fast Lindy competition. She was cast as a swing dancer in the 2013 Shakespeare in the Park production of The Comedy of Errors and can be seen performing as a member of the Rhythm Stompers swing dance team. After growing up as a student of Tap, Jazz and Ballet, Lauren trained as a ballroom dancer at the Arthur Murray School of Dance in Charleston, SC where she specialized in teaching the six main ballroom dances (Foxtrot, Waltz, Tango, Rumba, Cha Cha, Swing). She’s made the conversion to Lindy Hop and Balboa in 2005 and brings an elegance and lightness to this dance. She has appeared in several television ads for Midsummer Night Swing and was recently a featured guest on the BK Live morning show with partner Paolo Pasta Lanna. In addition to traveling up and down the east coast as a performer and instructor of these american born dances, In 2014 & 2016 she performed on the main stage at the Umbria Jazz festival in Perugia, Italy with Ray Gelato & his Giants, and again joining them in 2017 to dance on stage at the San Sebastian Jazz Festival in Spain. Other notable performances include: Midsummer Night Swing Lincoln Center, The Shake Rhythm & Roll Festival Asbury Park, The Saratoga Racetrack, Poughkeepsie Swing Dance Society, Central Jersey Dance Society, The All-American Dance Weekend Villa Nova Resort, Feast of San Gennaro, NYC and Belmar, NJ, and the Monmouth Park race track. Ben has been swing dancing since 1996 and began competing & performing in 2001 when he earned a place on the podium of the Open Showcase division of ALHC. Since then he has taught lindy hop, balboa, charleston and aerials in New York, Washington, Pittsburgh, Nashville, and other cities up and down the east coast. He helped lead Troupe 212 from 2009-2012 while they toured with Laurie Berkner, playing theaters throughout the northeast. Inspired by Frankie Manning, Ben has performed in music videos, independent films, at the dedication of the WWII memorial in Washington DC and locally at the Jazz Age Lawn Party and at Midsummer Night Swing at Lincoln Center. These talented dancers below were part of the first years of this storied dance collective. They brought their A game and their splendid talents to this ensemble in a most joyful and reverent way. Most important, they gave their time and dedication to keeping these American born dances alive. And we thank them for their contributions in building this collective along with furthering the dances we represent. Janice Wilson envisioned a gleaming career as a corporate lawyer when she entered the Columbia University School of Law in 1995. But fate intervened when Ms. Wilson happened to see a performance by a venerable Lindy Hopper named Dawn Hampton, who had danced at Savoy Ballroom in Harlem many decades earlier. From that point on, Ms. Wilson became obsessed with the Lindy Hop and the vernacular Jazz dances that were born here in America. A year later, Paolo who had been visiting NYC on weekends (captivated by the buzz of the Neo Swing rebirth), crossed path with Janice at a popular Big Band night club. 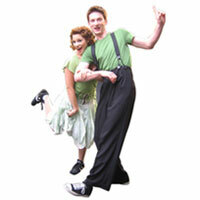 The soon joined forces to learn the Lindy Hop and it’s tricks, aerials and simply the magic of it all. By 1998 they had won the American Swing Dance Championships. The following year, they were invited to tour with Wynton Marsalis and the Lincoln Center Jazz Orchestra. 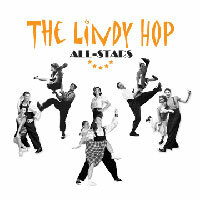 With that year came the launch of the Lindy Hop All-Stars. 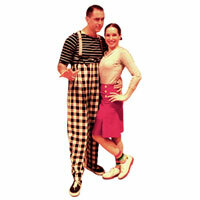 Angie and Roddy began their Lindy Hop partnership in the mid 1990’s. By the end of the decade, they had performed across the country and worldwide from Georgia to Canada and from Germany to Hong Kong. They were also part of The Lindy Hop All-Stars premier showcase at the Roseland Ballroom in NYC, historic in nature as it featured Wynton Marsalis and The Lincoln Center Jazz Orchestra. Mainstays of the Whitey’s Lindy Hoppers style, they brought an important historic look and feel to this troupe. They placed in many competitions around the country during their partnership. We’re grateful to have had them both in the history of this troupe. 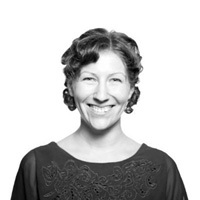 Kate Graffunder joined us in 2006 and performed with Roddy for multiple shows with the Lindy Hop All-Stars. Athletic and powerful, Kate enabled many unique and playful air steps to be included in our shows. 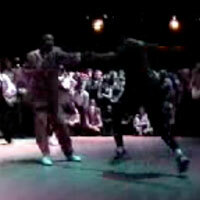 Tyrone Cooper joined us in 2000 for our premier show of the Lindy Hop All-Stars held at the Roseland Ballroom. During that time, Mr. Cooper was greatly involved in running the Mama Lou Parks dance group. Being one of a succession of Harlem youth recruited from the streets by Mama Lou, he alone persevered sufficiently to play a leading role in continuing the “Mama Lou Parks” after her passing. Tyrone attended the “Can’t Top The Lindy Hop” celebrations in 1994 and in 1995 he placed third with Caroline Hinds (of the Jiving Lindy Hoppers) in the American Swing Dance Championships. He also performed for President Clinton at the White House in 1998 with his second partner Beverly Moore (alongside Steve Mitchell and Erin Stevens). In 2000 he helped lead a performance at Lincoln Centre that featured 18 Lindy Hoppers to remember Mama Lou on the Tenth Anniversary of her death. Years later, when Yehoodi presented the Count Basie Commemoration at Columbia University (October 2004), the remaining dancers from Mama Lou Parks brought the house down with their surprise appearance and showcase. 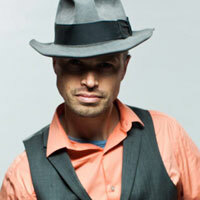 Evita Arce & Michael Jagger joined us in 2006 and performed for multiple shows with the Lindy Hop All-Stars. Internationally renowned as Lindy Hop performers and instructors, They brought an exuberant energy and joy to every event that we produced. Their combined resumes span the globe from Dubai to the UK, Sweden to Australia! Evita has also Choreographed the number we performed at the Frankie 95, a celebration of Frankie Manning at the Hammerstein Ballroom in NYC. They are currently some of the most popular performers in the Lindy circuit today traveling and teaching worldwide. 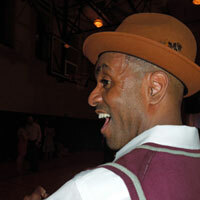 Matthew Bedell got involved in the Lindy Hop in the late 1990’s and skyrocketed to the top with his immense natural talent. He performed in multiple shows around the country including Mercedes Ellington’s In the Basie Miller Mood, Broadway Dancin’ and Swing Dance America!, and an classic appearance on television’s Showtime at the Apollo in 2003. Matthew and Jennifer placed in top slots at The New York Lindy Hop Open Champions and The American Lindy Hop Championships from 2003 – 2006. Jennifer Jones is also professional jazz dancer and a traditional pilates specialist/instructor with over 15 years of experience. Vanessa Toleno joined us in 2006 and performed with Paolo for multiple shows with the Lindy Hop All-Stars. She brought a sophistication and dynamic to the troupe that could raise the roof on our shows.